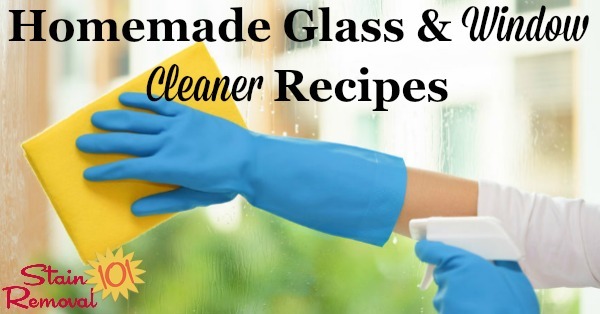 Here is a round up of homemade glass and window cleaner recipes and window washing solutions you can use to keep your windows sparkling with items from your own pantry. However, when you are new to making your own products you can feel a bit nervous about which recipes will actually work or not. 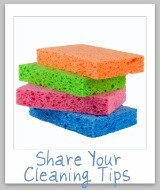 This is your chance to share your knowledge if you have a great recipe for cleaning glass and windows, or get some tips of your own to make sure you get the best results possible. 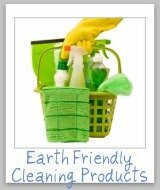 Many people have started making their own homemade window washing cleaner, and it is not hard to figure out why. 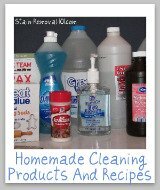 Except for the pretty blue color in most commercial window cleaners you most likely have all the ingredients already in your home to make your own homemade version, for a fraction of the cost. Of course, if you make your own you want the recipe to work, so skip down to share your recipe below, so we can all find one that suits our needs. If you don't have your own recipe to share, that is no problem. Here are my recipes you can try. You can also tell me how they worked for you below. 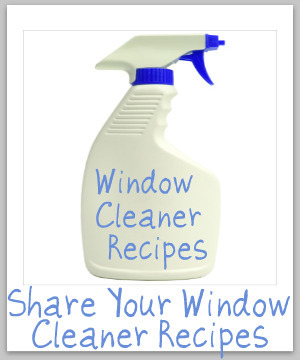 Do You Have Window Cleaner Recipes To Share? 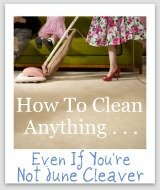 There are lots of recipes for window cleaner floating around out there, especially here on the Internet. Have you used a recipe that worked well for you? If so, please share the recipe and instructions with us here. 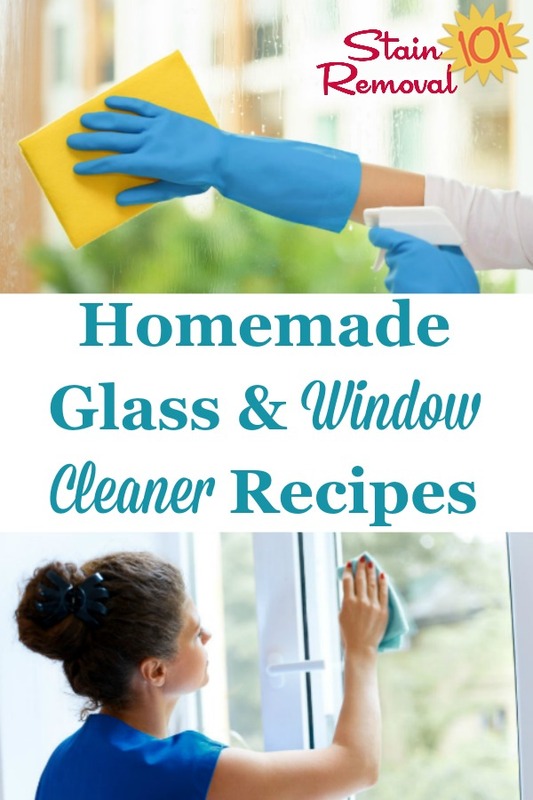 In addition, if you have tried to make your own window cleaner, and the recipe you used didn't work as well as you would like it, you can also tell us about that, so we can steer clear of these recipes. 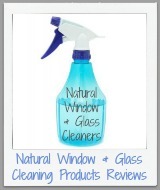 Click the links below to see recipes for window cleaner that have already been submitted by others. Feel free to comment on any of these submissions to tell us how these recipes worked for you, or about any other thoughts you have.